U19 Championship. 5th round. September 5, 2016. Schaslyve. Knyazha Arena stadium. Att: 150. 28o C.
In the closing game of the 5th round, the Pitmen received the league underdogs. This season, Zirka U19 have not scored a single point, losing all four games with a total goal difference of 2-18. In the game against Kropivnytskyi, Shakhtar could not count on Shakhtar players on international duty Stanyslav Hudz,Volodymyr Yakimets and Dmytro Topalov. In the absence of the latter, Murad Khachaev took place behind the striker, with Illia Putrya leading the team onto the field with the captain's armband on. Already in the opening stages, Shakhtar indicated their superiority with two scoring chances: on both occasions the crosses were rounded up with headers, with the ball going just wide. For some time, the visitors managed to calm the game, but in the 18th minute, following another delivery into the penalty box, Andriy Kulakov headed it home to make it 1-0. 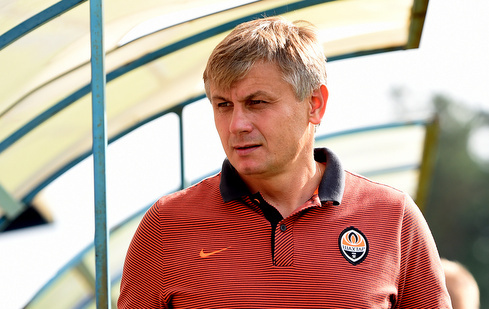 The Orange-and-Blacks quickly tried to build on their success, but the charges of Serhiy Popov failed to bring the moves to their logical conclusion for quite a while. Slaloming runs of Andryushchenko lacked a finishing touch, while Kashchuk’s activity bore fruit only after thirty minutes. It was after his left-wing delivery that Andriy Kulakov won a challenge to beat one defender and the goalkeeper to make it 2-0. Khachaev might have got himself on the scoresheet: after receiving the ball near the 11-metre mark, Murad fired a volley without hesitation, only for the ball to go just wide. After the break, Zirka attacked more actively. The Donetsk side might have taken advantage of the free space and punished the opponents, but the opposing defender blocked the shots and passes. Midway through the half, the game got tough, with plenty of challenges in midfield. The Pitmen lacked speed in the ball movement passing accuracy, with long balls also missing the target. The only danger was created in the closing minutes, when Tkachuk tipped a Kuzmenko shot goalwards, only to see the ball go over the crossbar. 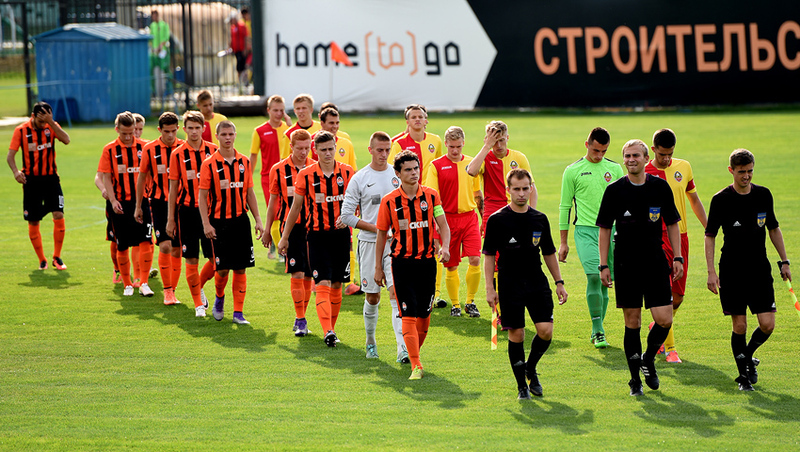 2-0 – Through a brace by Kulakov, Shakhtar beat Zirka and continue the title race. The charges of Serhiy Popov will play their next match away against Vorskla Poltava on September 10. - Today, we have created difficulties for ourselves. We’ve allowed the opponent to impose challenges on us in midfield and operated slowly. In some moments there were too many individual decisions at the expense of team play. It’s good that in the first half we scored two goals and secured the necessary result. Although there were more scoring opportunities later, we lacked a killer pass and a precision shot. In the second half we allowed the opponents too much, they enjoyed our mistakes and tried to launch attacking moves. They lacked skill, while we lacked the decision-making speed and the ball moving around. Of course, today we’ve missed our internationals: Yakimets, Hudz, Topalov. With those players available we would have acted differently at certain positions. We particularly lacked their speed in the second half. Also, Kashchuk dropped out of the fully-fledged training process, which could not but affect his today’s performance. We are facing Vorskla in a week. We have studied the opponents: they are an organized team, who perform set pieces very well. We are expecting a tough encounter, but we are going to Poltava to seek victory only.